Fan-favorite writer Jim Zub (WAYWARD, SKULLKICKERS) and red-hot new artist Djibril Morissette-Phan (The Ultimates, All-New Wolverine) will release the first trade paperback collection of their explosive horror series GLITTERBOMB this March from Image Comics. Farrah Durante is a middle-aged actress hunting for her next gig in an industry where youth trumps experience. Her frustrations become an emotional lure for something horrifying out beyond the water: something ready to exact revenge on the shallow, celebrity-obsessed culture that's led her astray. "GLITTERBOMB is a very special project for Djibril and I,” said Zub. “Delving into the dark heart of celebrity with wonderful collaborators like K. Michael Russell, Marshall Dillon, and Holly Raychelle Hughes has been a thrill. We're excited for readers to read this opening salvo as we reload and take aim at new targets in the next story arc." 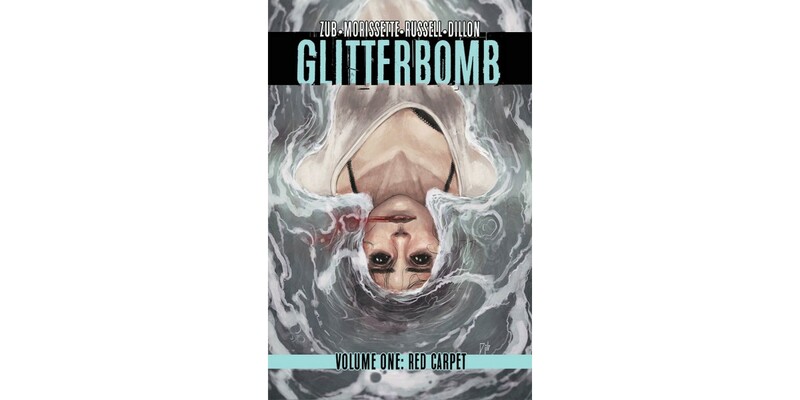 GLITTERBOMB, VOLUME 1: RED CARPET (ISBN: 978-1-5343-0051-4) hits comic book stores Wednesday, March 1st and bookstores Tuesday, March 7th. It can be ordered by retailers with Diamond code JAN170804 and is available for preorder via Amazon, Barnes & Noble, Indiebound, and Indigo.